Their punchline is ‘A Glass and a Half Full of Joy‘ and that is exactly what I feel and more when I pop it in! So to reminisce about that awesome time of my life I decided to top my next cupcakes with these sweeties. I wanted the cupcakes to be chocolate. How boring! 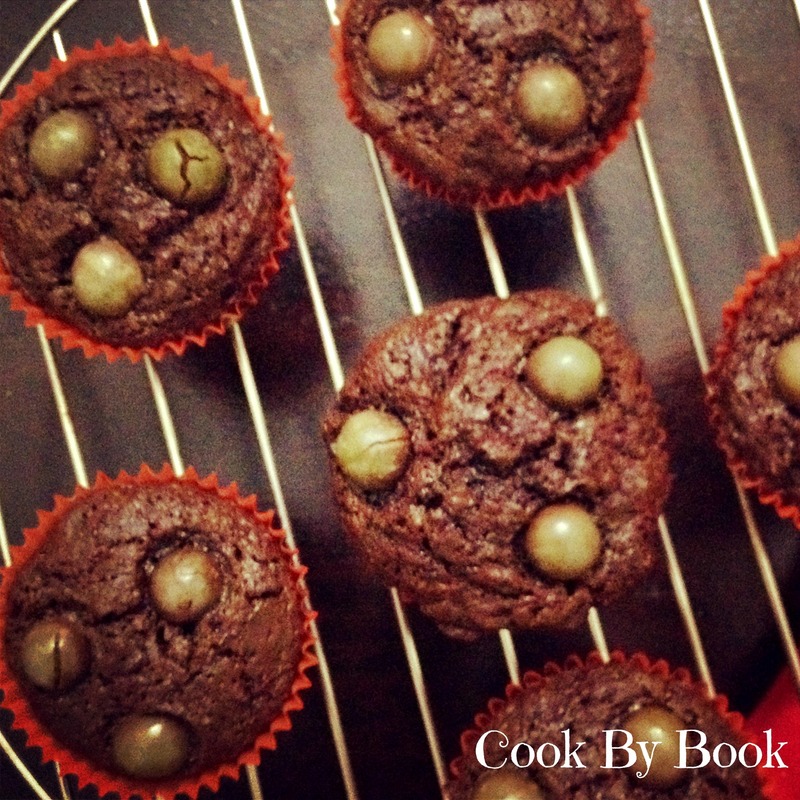 So I decided to give it a twist… of Beetroots! 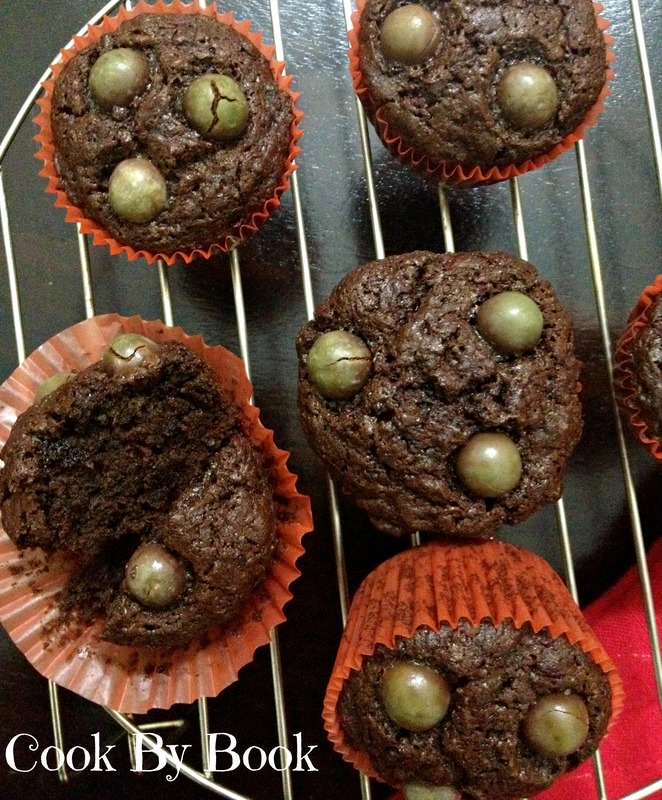 I mean I have baked chocolate cupcakes with zucchini before so decided to pretty much replace zucchini with beetroots and it worked like a charm. I tweaked my previous recipe a bit and added melted chocolate in this one instead of chocolate chips as I was topping these with SHOTS! So hop onto the reminiscence train! There are no stations in between.. Share with us that one important nostalgic moment from your college days. We would love to know! Preheat the oven to 375F/180C. Line 6-count muffin tin with paper liners and set aside. Sift all the dry ingredients in a large bowl. Stir in the grated beetroot, egg and melted butter. Add the melted chocolate and vanilla extract. Stir until just combined. Spoon the batter among the prepared pans. 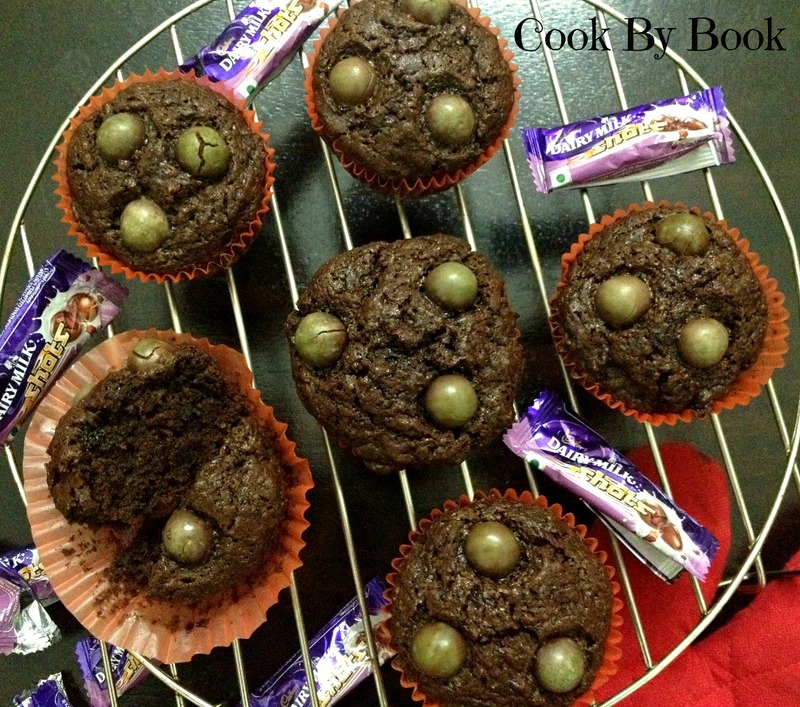 Top each cupcake with 3 Cadbury SHOTS and bake for 21-23 minutes or until a toothpick inserted into the center comes out clean. Set aside to cool completely. *Cadbury SHOTS has not sponsored me in anyway. All the praise written above is my personal expression of love for them! But my crazy work hours forces me to get out of the house at 1 in noon when its especially terrible.. I am not a morning-person so the timing suits me perfectly but I can’t take this torturous heat anymore! HELP… Is anyone listening to me?! I guess not!! 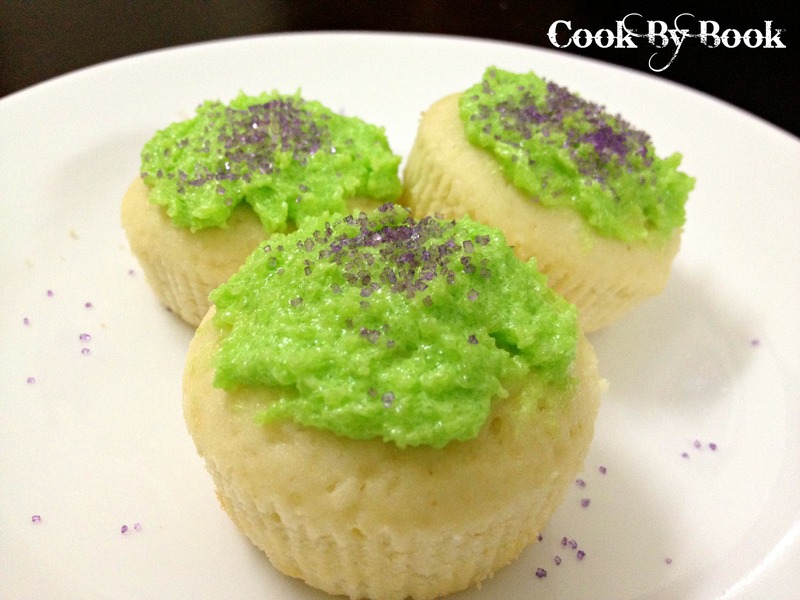 Today I am sharing with you all my recipe for Mountain Dew Cupcakes with buttercream frosting. These have a very prominent flavor from Mountain Dew but not over the top. 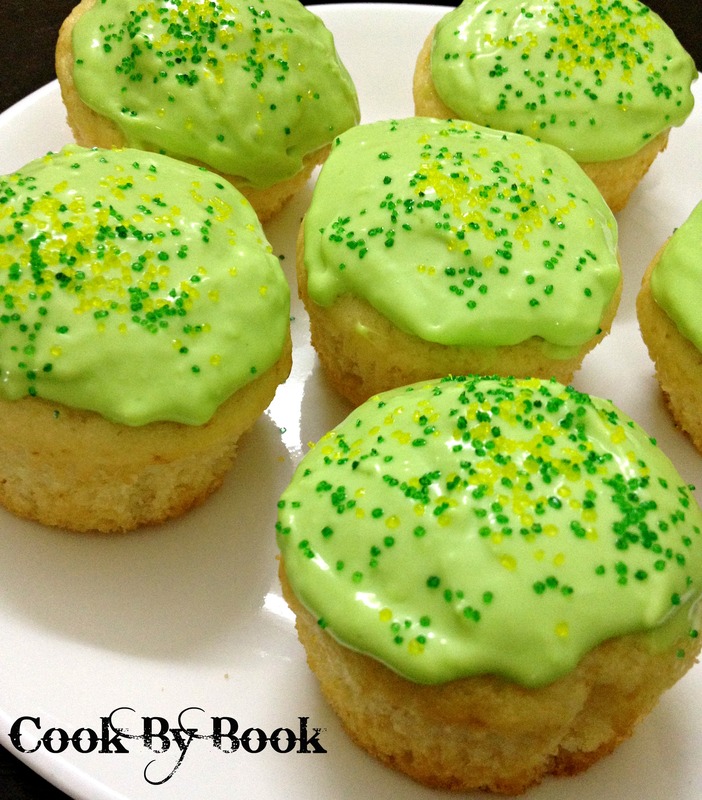 There is lemon and lime juice and zest in both the batter and frosting, giving them a good kick. The cupcakes are soft and moist. The frosting is velvety and buttery. And they’re perfect for toting along to picnics and cook-outs all summer long! Preheat the oven to 350ºF/180ºC. Line a 6-count muffin tin with paper liners. Set aside. In a small bowl, whisk together flour, baking powder and salt. In a small cup, stir together Mountain Dew, lemon juice, lime juice and pineapple extract. In a large bowl, cream together butter and sugar. Add lemon and lime zest and then add egg, give it a good whisk. Add half of the dry ingredients to the batter. Stir in the wet ingredients and finish off with the rest of the dry ingredients, mixing until just combined. Do not over-mix. Fill each baking cup 2/3 of the way full. Bake for 15-17 minutes, or until a toothpick inserted in the center comes out clean. 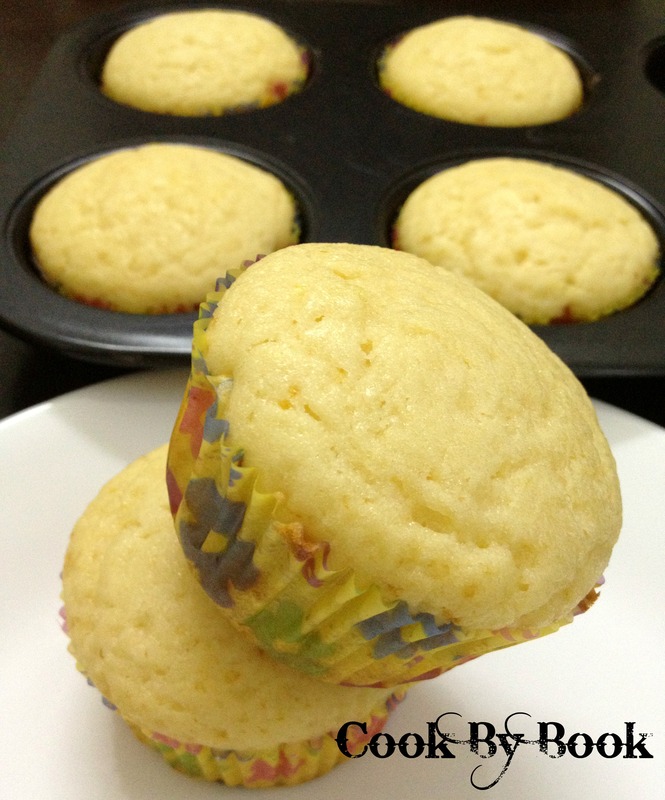 Let cupcakes rest in muffin tin for a few minutes before removing. Transfer to a wire rack to cool completely before frosting. For the frosting: Cream together butter and sugar. Add mountain dew, lemon juice, lime juice and zests. Stir in one or two drops of food color. Add more sugar if required depending upon the consistency and whisk. Frost the cupcakes once they are completely cool. Anyone for a Margarita? Oh, Yeah! 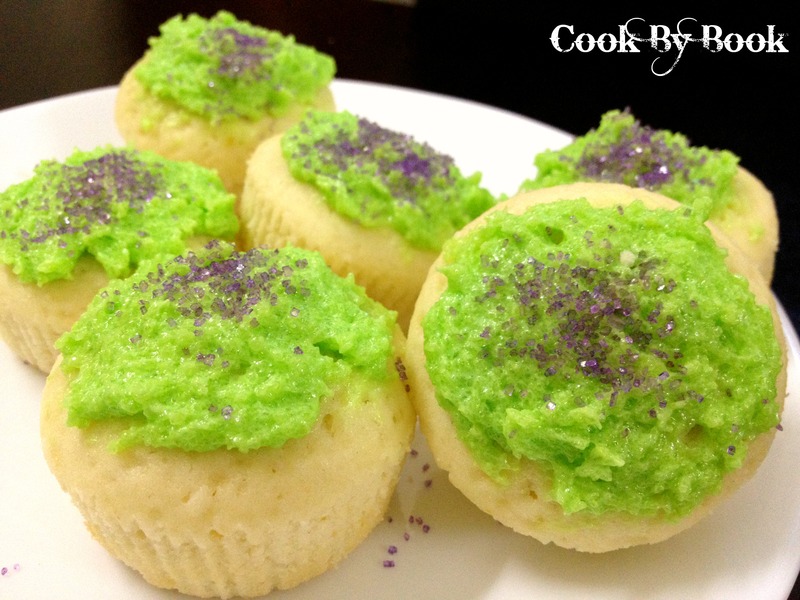 And anyone for Margarita cupcakes? Hell, Yeah!!! Monday night does not get any better than this! I mean, what’s not to like? 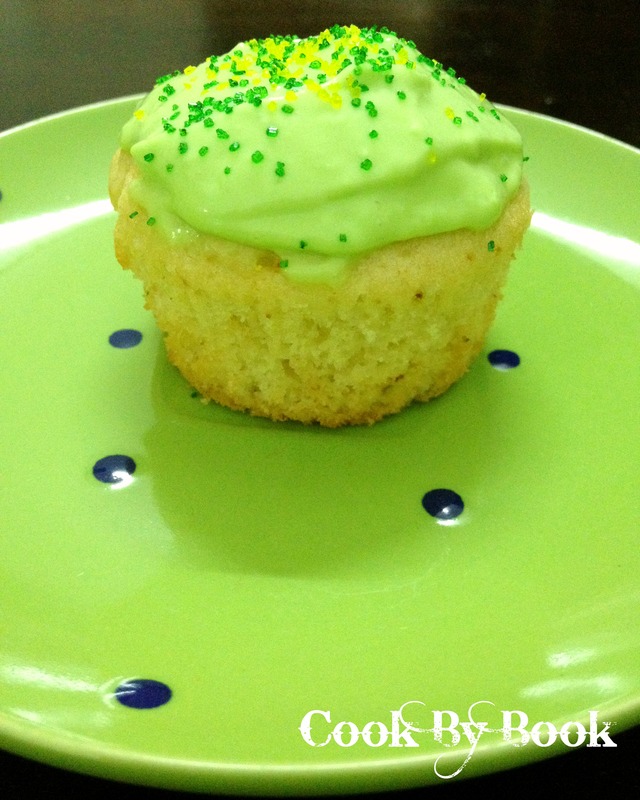 Cupcakes + Margarita = Match made in Heaven! These cuppies are made from scratch. No cake box involved. The homemade margarita cupcakes are perfectly soft, fluffy, and bursting with margarita flavor! Plus each bite has a refreshing zest of citrus flavor! Imagine them topped with margarita cream cheese frosting! Gosh! I mean how can you not smile sinking your teeth into one of these? These can be stored at room temperature for 1 day in an airtight container and 4 days in the refrigerator. I loved eating them chilled! It was so refreshing! Preheat the oven to 350ºF/180ºC. Line 6-count muffin tin with paper liners. Set aside. Combine salt, baking powder and flour in a small bowl. Combine the milk and margarita mix in another small bowl (the mixture will curdle, but it’s okay). Cream butter and sugar with the stand or handheld mixer. Add egg and mix to incorporate and then add lemon zest. Gradually beat in the flour mixer and the liquid mixer, alternating them, making sure to start and end with flour mix. Beat as little as possible, just until the batter come together. Fill the paper liners till 2/3rd of the cups are filled. Bake for 15-17 minutes, or until a toothpick inserted in the center of a cupcake comes out clean. Let cool. 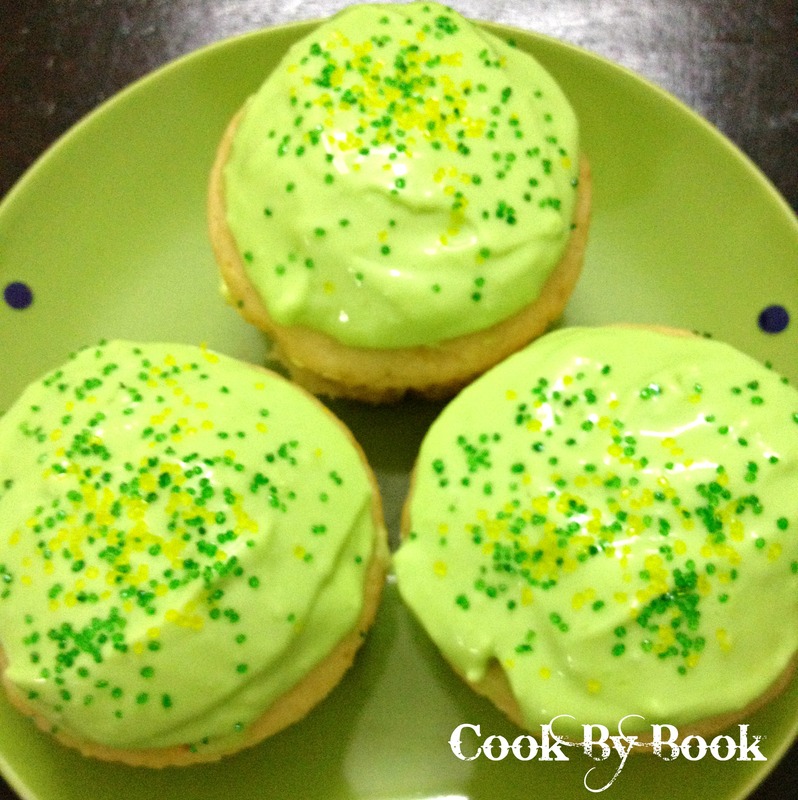 To make frosting: Whip everything together, adding a drop of green and yellow food coloring for effect. Add more powdered sugar if frosting is thin. Pipe onto the cooled cupcakes. I simply smothered mine with the spatula and decorated them with green and yellow colored sugar. There may be leftover frosting depending upon how much you use on each cupcake. 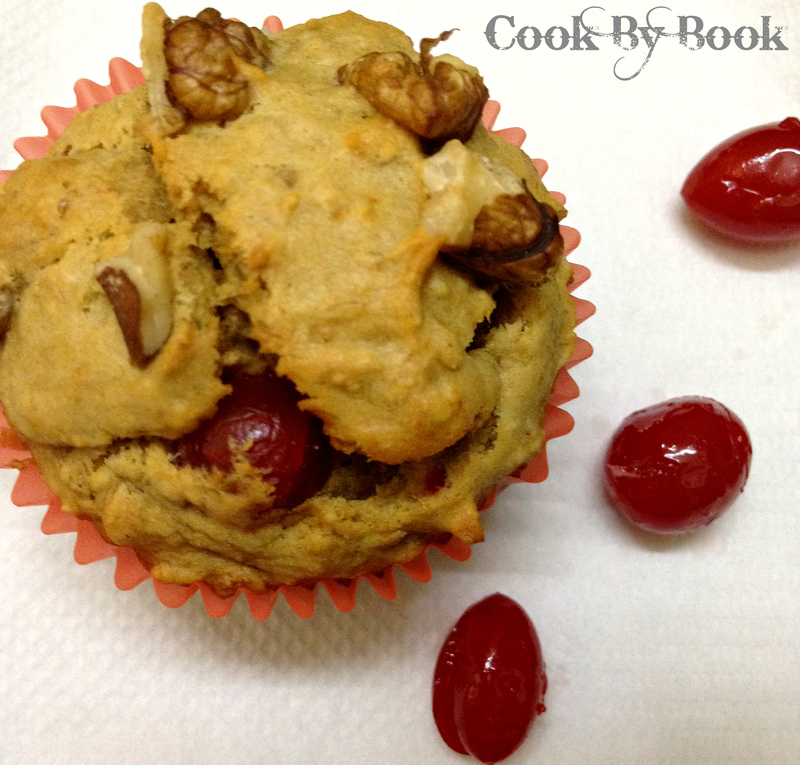 So after disguising myself behind the first 2 posts of salad and appetizer, I decided to come out with this skinny cherry banana muffin recipe. Healthy recipes that do not taste healthy at all is like finding a treasure! I loooveee helthifying recipes as that is the only way I can have them too much! 😛 Plus, these muffins are insanely easy to make. If they weren’t, you can bet all your money that I wouldn’t have baked them on a weekday! Oh yeah, they are that easy and quick to whip up! Start with some of your wet ingredients: unsweetened Applesauce, some sugar, mashed banana, low-fat buttermilk and vanilla extract. Applesauce is taking the place of butter and oil in this recipe as there is simply no need for the added fat. And min you, if you think these are gonna be dry and crumbly without butter and egg then you are mistaken! I can’t stress enough that these are NOT anything like that. 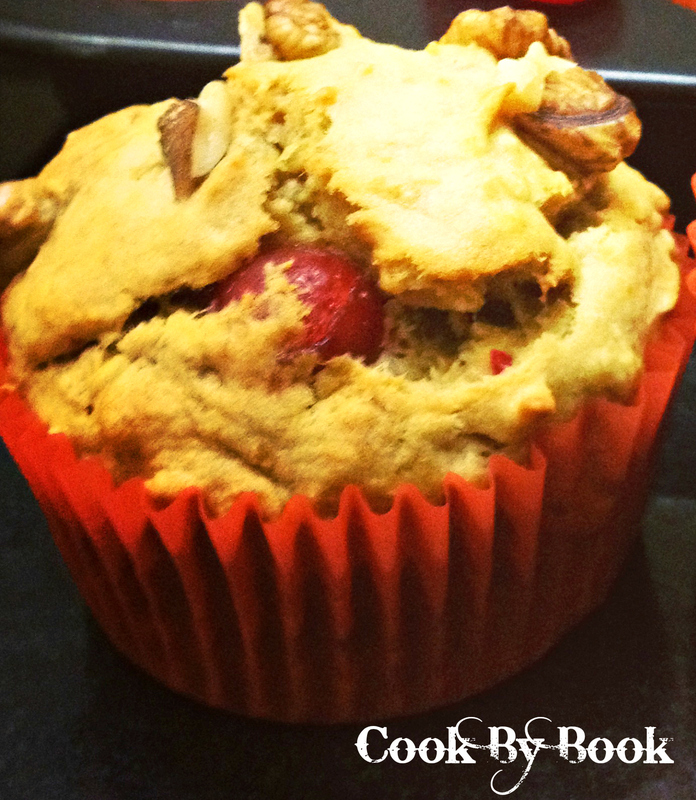 All the wet ingredients mentioned above do a fine job of keeping the baked muffins soft, tender and moist. 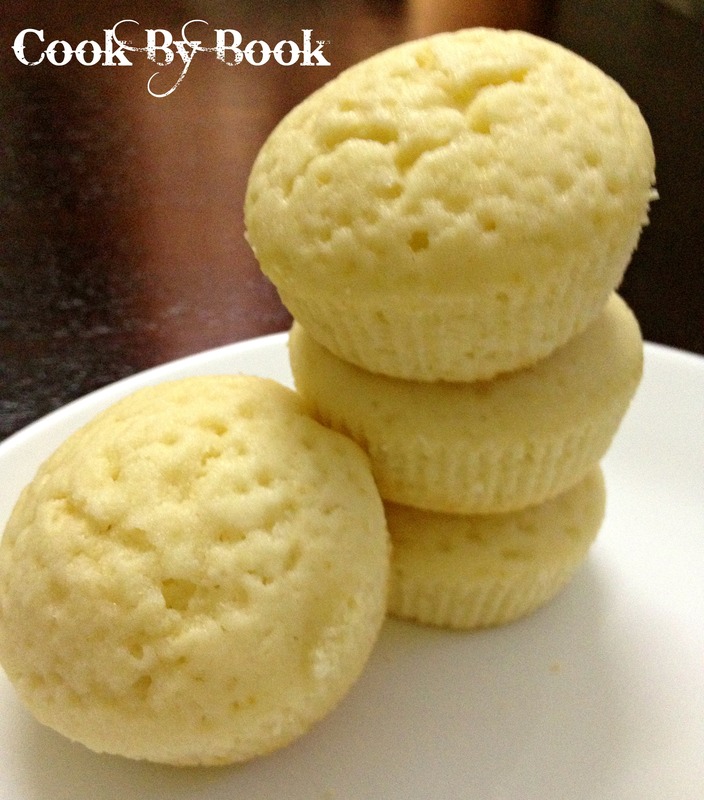 There is only 1/4 cup of white sugar in the whole recipe, yielding 6 large muffins. So you get my point when I am repeatedly saying these are extremely healthy and still decadent tasting! The dry ingredients are simple: whole wheat flour, quick-cooking oats and your leavening agents. You can sift the flour before mixing it with wet ingredients. This step is not necessary and you can skip it. And the last thing you add? Cherries of course! I used glazed cherries cut into bite size pieces but you can easily replace them with fresh or canned cherries. Plus, a sprinkle of walnuts just before popping them into oven. 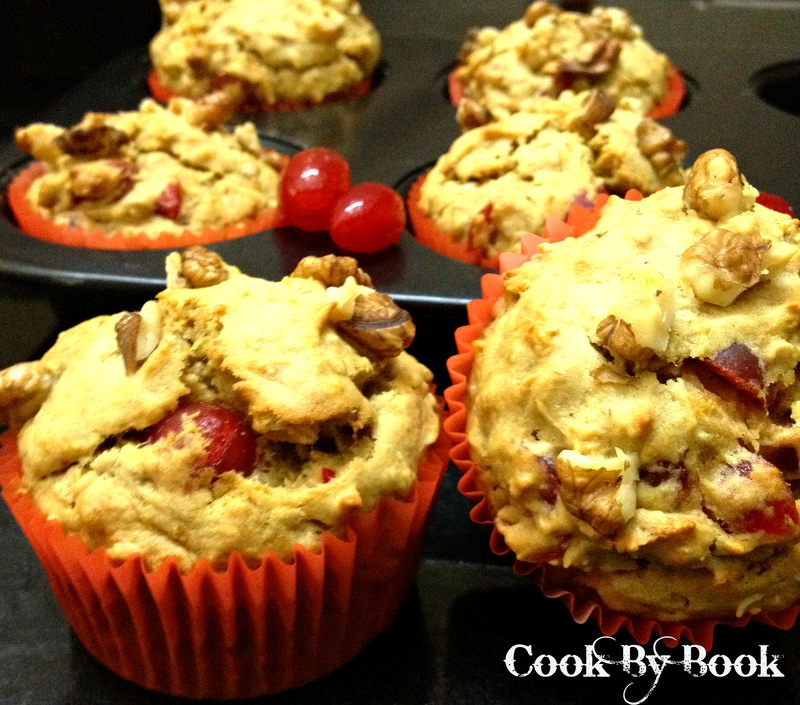 These muffins taste great with the cup of milk or coffee! 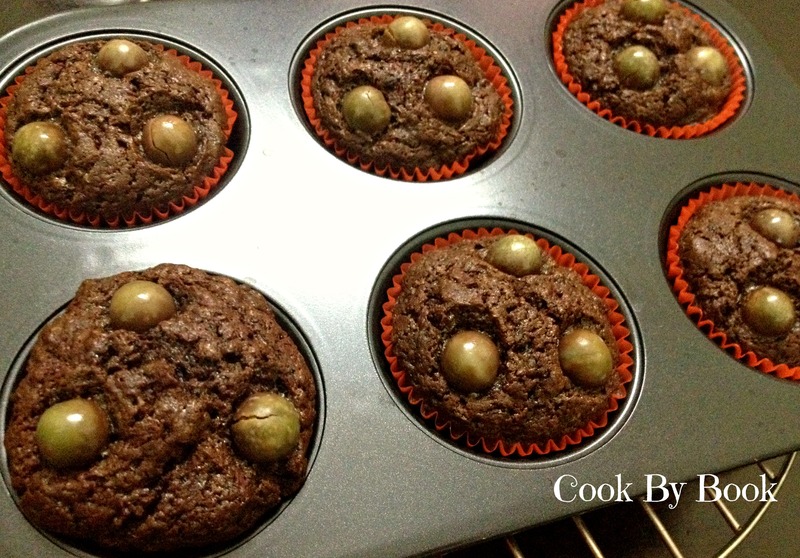 The muffins take an easy 18-20 minutes in the oven. Mine took 20 minutes. Be careful with these though, you don’t want to overbake them, which will lead to dry, course muffins. Insert a toothpick in one at the 18 minutes mark. If it comes out clean, they are ready. If not, bake for 2 more minutes. Preheat oven to 350ºF/180ºC. Line 6-count muffin pan with liners. In a large bowl, combine apple sauce, sugar, mashed banana, buttermilk and vanilla. Whisk them all together until smooth. In a small bowl, combine the flour, oats, baking soda and salt. Slowly stir in to the wet ingredients , being careful not to overmix. Get any dry pocket of flour out. Fold in the cherries. The batter will be smooth but not too runny. Fill paper-lined muffin cups three-fourths full. Sprinkle with walnuts. Bake for 18-20 minutes or until a toothpick inserted comes out clean. Remove them from the oven and allow them to cool for 5 minutes before removing them from pan to a wire rack to cool completely.